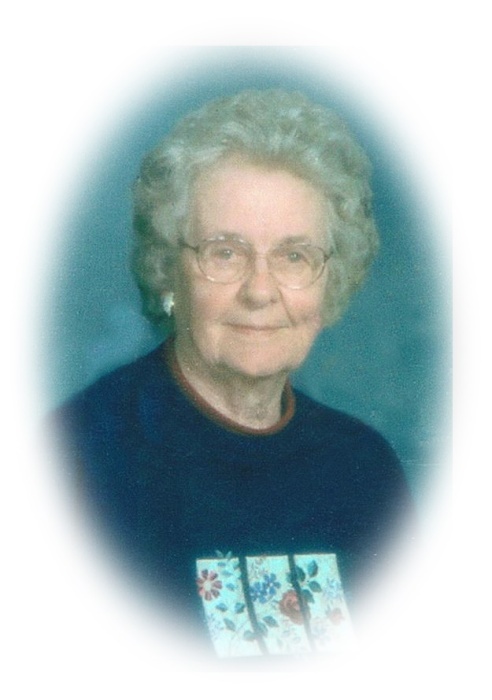 Bernice Marie Brown, 96, of Monroeville passed away early Sunday morning, December 16, 2018 in The Bellevue Care Center following a brief illness. She was born December 2, 1922 to the late William and Coletta (Landoll) Meyer in Bellevue. Bernice was a member of St. Alphonsus Catholic Church in Peru and the Rosary and Altar Society of the church. She was a former member of the Golden Eagles in Monroeville and enjoyed playing cards and BINGO. She was an American Red Cross volunteer and had donated more than eleven gallons of blood. Bernice was employed for eleven years at Bellevue Lamp, nine years for the Monroeville Schools and had also worked at the Sorrowful Mother Shrine, Marywood. She is survived by two sons, Steven (Genevieve) Brown and Michael (Barbara) Brown, both of Bellevue; five grandchildren, Timothy Brown, Jessica (Markus Mims) Brown, Courtney Brown, Hilary Brown, and Matthew Brown; one great granddaughter, Journey Lynn Mims; one sister, Laverne (James) Miller; two sisters-in-law, Anna Marie Meyer and Kathleen Meyer; nieces, nephews, and other relatives. She was preceded in death by her husband, Donald F. Brown in 1974, whom she married October 9, 1954 in St. Michaels Church, Marywood; her parents; her twin sister, Bernadine Peiffer; five brothers, John (Lucy) Meyer, Richard Meyer, Walter Meyer, Harold (Juanita) Meyer, and Robert Meyer. Friends may call from 3:00 PM – 7:00 PM on Wednesday, December 19, 2018 at Pfeil Funeral Home, Monroeville Chapel, 109 Monroe Street, Monroeville. Prior to visitation, the rosary will be recited at 2:45 PM. A Mass of Christian Burial will be held at 10:30 AM, Thursday, December 20, 2018 in St. Alphonsus Church, 1322 Settlement Road, Norwalk. Fr. Ronald Schock will officiate. Burial will follow in St. Alphonsus Cemetery. In lieu of flowers, memorial contributions may be made to St. Alphonsus Church or Stein Hospice Service, Inc., 1200 Sycamore Line, Sandusky, Ohio 44870.